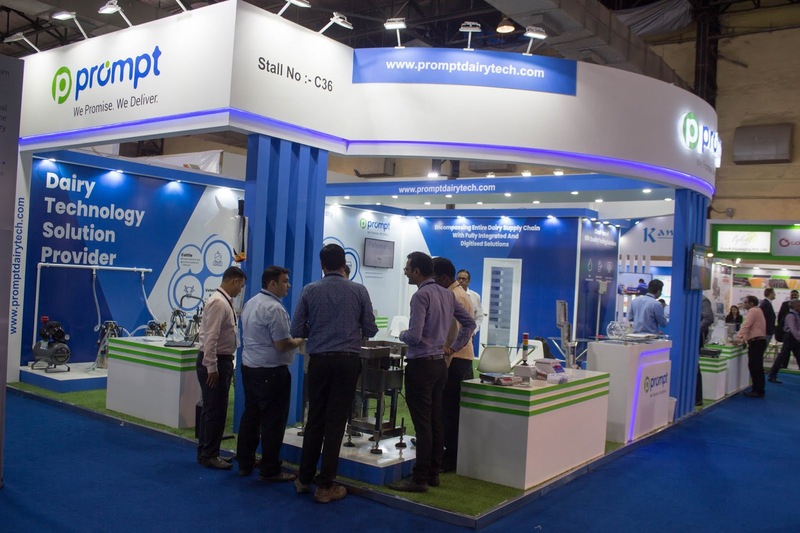 Prompt Softech, a customized software and hardware solution company, shared about its enthusiastic participation at IIDE 2019. It represented an IoT and Cloud-based Solution for Dairy Industry that could work as a revolution in the Dairy industry targeting a better future of Farmers, Cooperatives and Businesspeople involved in the same sector. The IoT and Cloud-based solutions had been nurtured with all the latest technologies that could improve the living of farmer while making them aware of all the necessary aspects connected to cattle and dairy as well. The dairy solutions offer a mobile app for farmers to facilitate the close watch to cattle and daily milk collection. The web application has connected 3.5 Million farmers to Milk Unions and repelled them from hassle. The IoT solution enabled Hardware for Milk Collection Units and offered M2M Hardware for better hardware connectivity along with data transfer in real-time. Solving the mess created while managing the data, the dairy solutions also grants Cloud storage and its accessibility through offline Desktop Application. The dairy solution is developed with a vision to improve the milk yield and rescue the farmers from the on-going malpractices palpitating within the industry. It favours the dairy industrialist by providing them with the full secured system and transferring the power of total surveillance. It retains the record and stores the data on the Cloud for future access. The director of Prompt Softech, Ritesh Sutaria shared his perspective and purpose behind the development of IoT and Cloud-based Solution to Dairy Industry and said "According to the department of animal husbandry, India has set itself a target of producing 200 million tonnes of milk by 2022 and IoT & Cloud will have a major role to play in making this transformation possible. Our Research and development team completely focus on automated tools and hardware that leverage IoT and Cloud can improve milk production and quality for dairy farmers." Prompt Softech, well recognized as one of the leading Software and Mobile App Company, has clutched good experience in Dairy Industry as well. The Ahmedabad based company has established its empire in Software, Retail, and Weighing & Logistics industries as well. The company was voted as the Best Software Product Company in 2013 and even grabbed the title of Best Electronics Product Company in 2014. It was recognized as Best Product Company in 2015 by GESIA (Gujarat Electronics and Software Industries Association). Prompt Softech is headquartered in Ahmedabad, Gujarat.